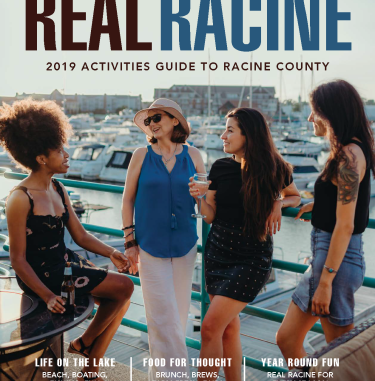 Saturday, May 5 is Open House Racine County (OHRC), a day-long celebration of our county&apos;s interesting places. You&apos;ll experience fascinating architecture, local history, home-grown art and much more! Plus, It&apos;s all free! Are you an OHRC pro? Looking for something new? We&apos;ve added several new locations for you to explore! Take a look at our additions for 2018! The Covenant at Murray Mansion 2219 Washington Ave., Racine. Open 11 a.m. - 3 p.m. Constructed in 1874 by George and Mary Murray, this home was known to be the most expensive of its time in Racine and one of the largest Italianate style homes in Wisconsin. It was designed and built by Walter Blythe. Built with cream brick and equipped with gas lighting, the construction project was monitored by architect Lucas Bradley. Our Savior&apos;s Lutheran Church purchased the property in 1949 and added the church sanctuary in 1955. In 2015, Keith and Kathleen Meyer acquired the property and renovated it into a unique venue space. DeKoven Center - St. John Chapel and Great Hall 600 21st St., Racine. Open 10 a.m. - 4 p.m. Originally an 1852 Episcopal preparatory school for boys, the DeKoven Center thrives today as a facility for retreats, conferences and special events. 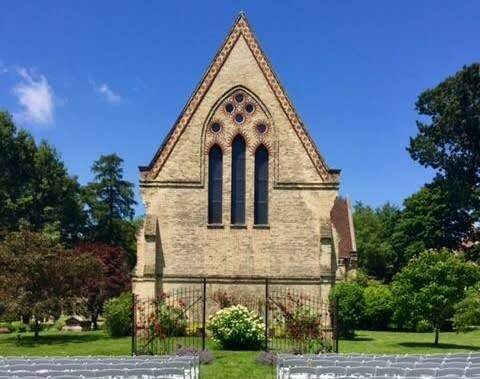 St. John&apos;s Chapel, where numerous wedding ceremonies are held every year, stands in the middle of one of the oldest intact collegiate quadrangles in the country. 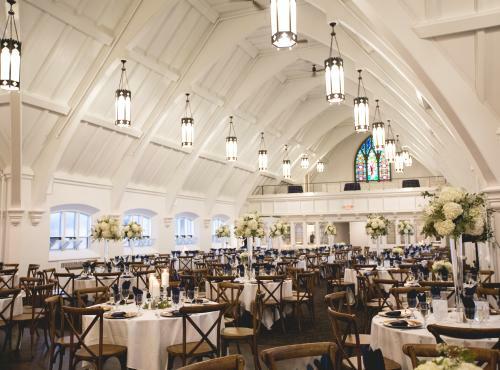 The nearby Great Hall serves as a site for wedding receptions and events. Both St. John&apos;s Chapel and the Great Hall will be open for tours and visitors will be welcome to stroll the beautifully kept grounds. Gateway Technical College&apos;s SC Johnson iMET Center 2320 Renaissance Blvd., Sturtevant. 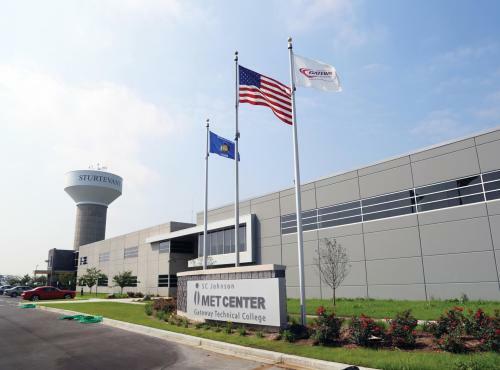 Open 9 a.m. - 5 p.m.
Gateway&apos;s SC Johnson iMET (integrated Manufacturing and Engineering Technology) Center hosts the region&apos;s first flexible manufacturing laboratory dedicated to training the manufacturing workforce. Its Fab Lab provides an innovative maker space and a technical prototyping platform for innovation and invention. The Fab Lab is open to entrepreneurs and the public. Many Gateway engineering technology programs are housed at iMET as well as the college&apos;s nationally known training boot camps. Visitors will see state-of-the-art engineering, fabrication and manufacturing labs. Tours of Fab Lab and the manufacturing lab will be available. Allow up to 30 minutes for a tour. Modine-Benstead Observatory 112 63rd Drive, Yorkville. Open 1 - 4 p.m. The Racine Astronomical Society (RAS) was established in 1956 to promote interest in astronomy among amateurs and the Racine area public. The Modine-Benstead Observatory was completed in 1963. It includes two domed observatories housing a 16-inch telescope and a 14-inch telescope. Visitors will be invited to view the sun during the afternoon (weather permitting). Astronomy experts will be on hand to answer questions. 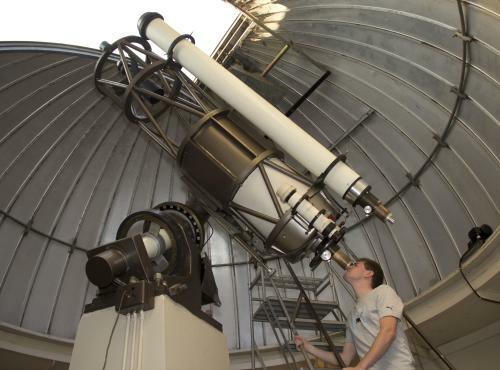 Everyone is invited to return for one of the RAS evening open houses, held monthly in May through October, to view the heavens through the telescopes. Pioneer Log Cabin Wehmhoff Square, Burlington. Open 10 a.m. - 2 p.m. The Pioneer Log Cabin was built in the 1850s. It was restored by the Burlington Historical Society in 1997-98 and rededicated at its present location near Wehmhoff Square on July 4, 1999. The cabin is furnished with mid-19th century artifacts and reproductions. An adjacent shed contains a display of hand tools and farm artifacts. In the summer, the Burlington Garden Club maintains an authentic "kitchen garden" where vintage flowers and vegetables are grown. Putzmeister America Inc. 1733 90th St., Sturtevant. Open. 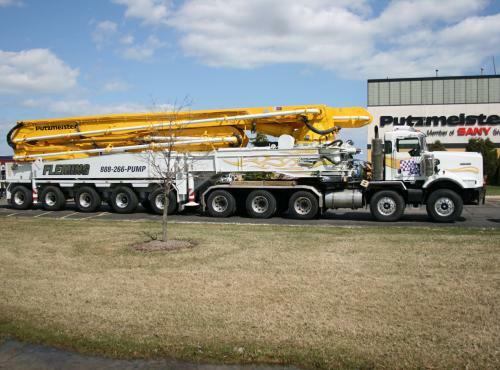 9 a.m. - 5 p.m.
Putzmeister America is a manufacturer of a complete line of truck-mounted concrete boom pumps, placing booms, telescopic belt conveyers, trailer-mounted concrete pumps as well as shotcrete and mortar machines. Putzmeister has expanded seven times since opening its American headquarters in Sturtevant in 1994. The 34.5-acre campus features 200,000 square feet of office and manufacturing facilities. Equipment of the type made here has worked on some of the world&apos;s most notable projects, including the Hoover Dam Bridge and the Panama Canal expansion. School Days Mall Antiques 9500 Durand Ave., Sturtevant. Open 9 a.m. - 5 p.m. Constructed in 1926 as the Sturtevant School. Two additions were made since the original construction. 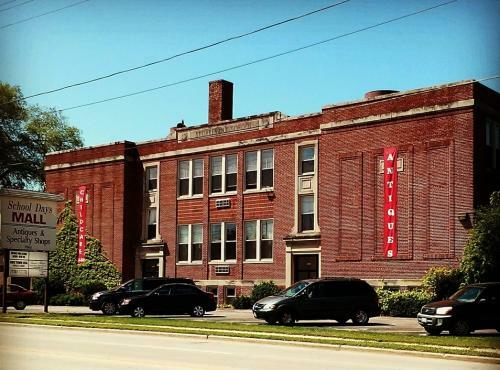 The three-story brick building has three floors and 28,000 square feet that once held 14 classrooms, library, office, basement and gymnasium. It ceased being a school after 1979 and was remodeled for business use in 1985. School Days Mall has been in place since that time. There are 80 antique dealers plus more than 300 individuals selling items on consignment. The former school&apos;s halls are filled with photos of folks who once roamed the building as students or teachers. It&apos;s always great fun when some recognizes themselves, a friend or a family member. Spirits of Norway Vineyard (at Real Racine Visitor Center, 14015 Washington Ave., Yorkville.) Open 12 - 4 p.m.
Sandy Johnson, an enologist (fancy word for winemaker) is an adult learner who made a career change. She successfully completed the Winemaking and Advanced Winemaking courses through the V.E.S.T.A. program and served internship hours learning from some of the best winemakers in the country. Today, she produces specialty wines at Spirits of Norway, a boutique-style craft winery located in the Town of Norway in western Racine County. The winery and vineyard are not open to the public. 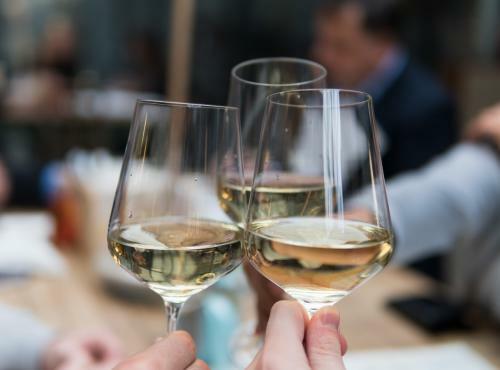 However, Sandy and her husband, Randy, will offer wine samples (must be 21 years old) paired with locally made Kringle pastry at the Visitor Center. The Larsons will talk about the types of grapes grown in their vineyard and answer visitor questions. Sturtevant Rails 2815 Wisconsin St., Sturtevant. Open 1 - 5 p.m. 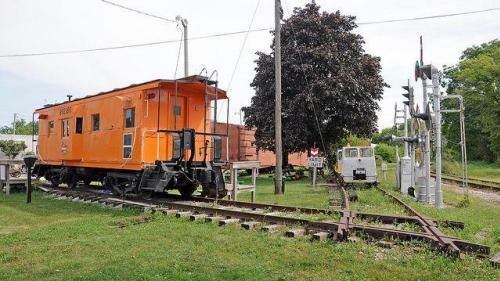 The Sturtevant Rails Railroad Museum is housed in a bright orange Milwaukee Road bay window caboose (circa 1958). The caboose was built in Chicago by the Thrall Car Co. 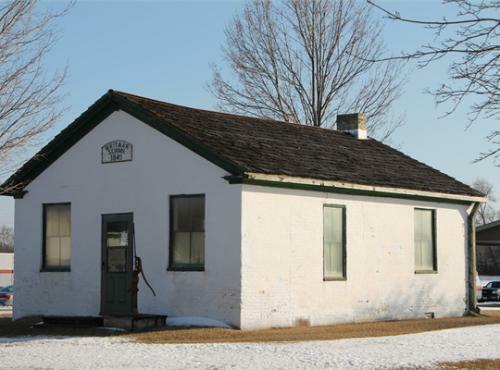 The Western Union Junction Railroad Club acquired it in 1992 and established a museum dedicated to the area&apos;s railroading history. Inside are many displays of artifacts of a bygone era. Club members will be on hand to answer questions. Whitman School House 449 Beloit St., Burlington. Open 10 a.m. - 2 p.m. Originally located at 218 Madison Street, this brick, one-room schoolhouse opened in 1840. It was used by the Burlington Education Society for teaching primary, middle and senior classes. through 1856. The building was later used as a place of worship, warehouse, home and repair shop. In 1985, the Burlington Historical Society purchased the building, moved it to its present location and restored it to its original school configuration. The Historical Society dedicated the Whitman School House in 1988 recognizing one of the building&apos;s long-time owners.